For the week of Thanksgiving, I am running a thankful contest. To enter, leave a comment on something you are thankful for. The prize is a leather-bound copy of The Daily Light Journal, Evening Readings by Anne Graham Lotz. The contest runs Sunday, November 24-Saturday, November 30. It’s hard to believe November is almost over. What are you thankful for this month? I am thankful for my children, grandchildren, and family. coconut pie recipe I found years ago from Betty Crocker. Mix all ingredients in a medium bowl and pour into a 9-inch greased pie plate. 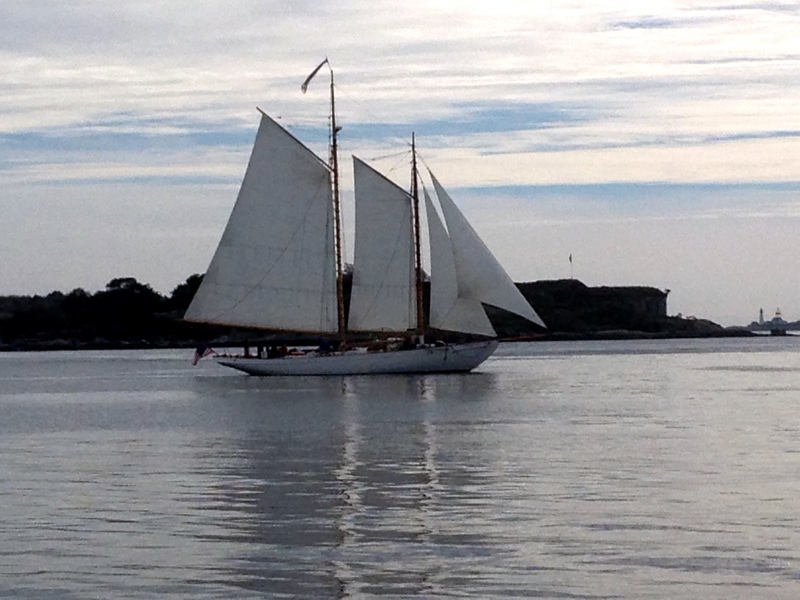 On a recent trip back east, I watched this one hundred year old sailing ship glide through Portland Maine Harbor. Here is a closer view. 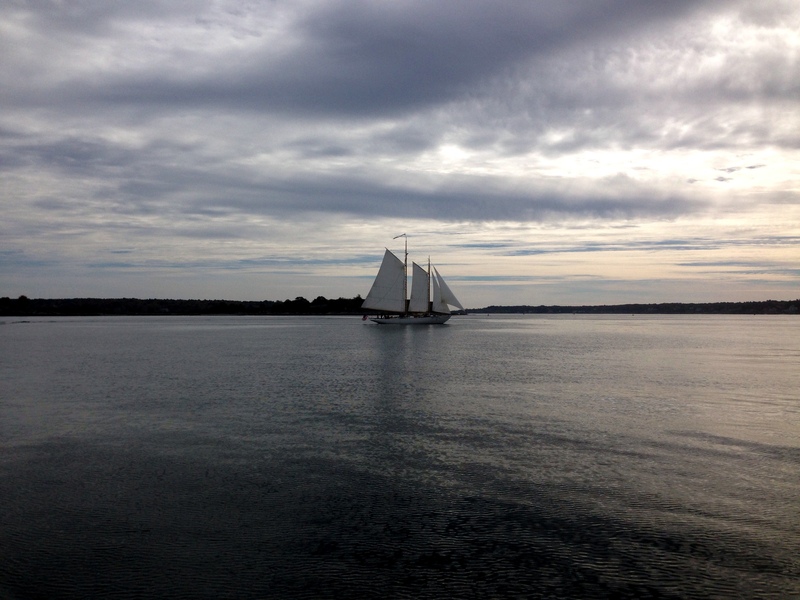 In spite of the cloud cover, it was a beautiful day for sailing. One of the best things about being a writer is the inspiration I get from my travels. In the Lane Trilogy, I was blessed to visit many places my characters frequent. I am thankful for my wonderful husband, David. Exploring famous sites in Boston took me back in time. Dr. Howard Reed, my favorite history professor, could easily have been our guide. 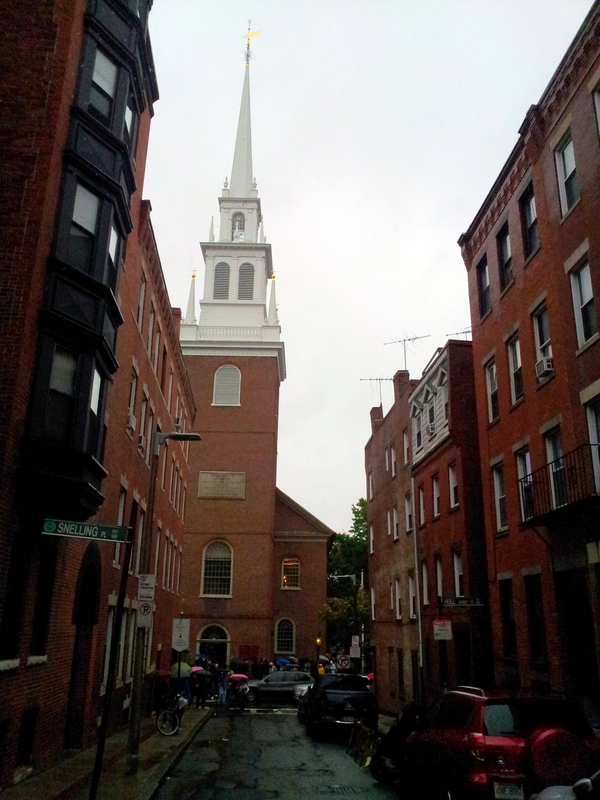 This is the famous Old North Church.”One if by land, and two if by sea” is the signal said to have been sent from high in the steeple on the night of Paul Revere’s ride. 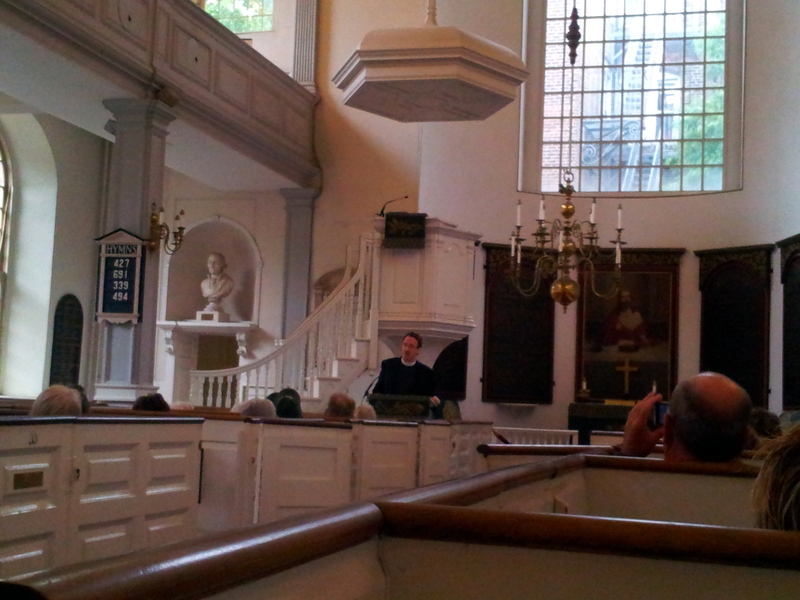 A National Historic Landmark, this building claims the distinction of being the oldest church building in Boston. Notice the windows, chandelier, and woodwork. We sat in pews that were box seats, enclosed so that parishioners in the good old days could bring hot embers from their fireplaces, set them in the center of the enclosure, and keep warm on cold Boston days. This gives you a view of the narrow streets and that famous steeple. Of course, it rained. Here I am in all my glory. 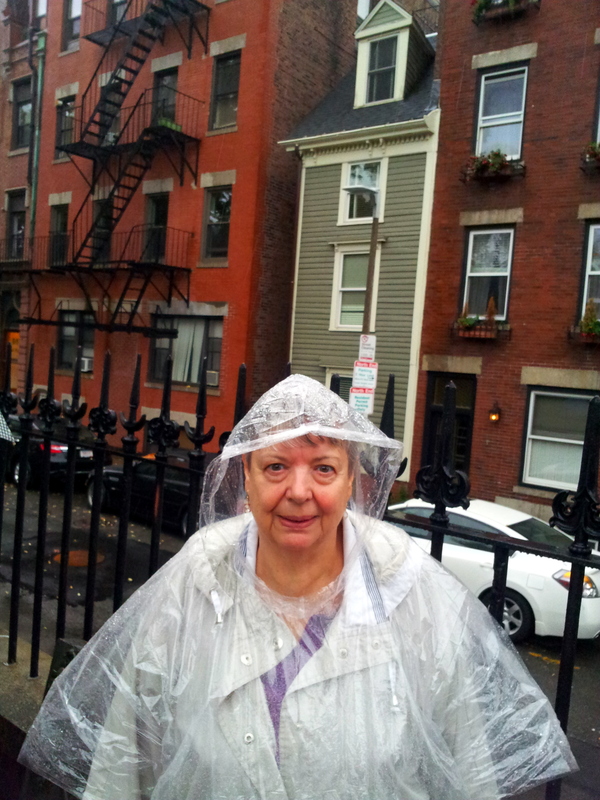 Behind me is the skinniest house in Boston. It is four stories tall, but only 10.4 across.